It really does. Remember when you used to open your lunchbox for recess and the food inside would be soggy and have no flavor at all? Lunchboxes are a science unto themselves. A science few have mastered despite decades of compulsory schooling that have called for the use of a lunchbox. No wonder Ziploc sandwiches are so freaking popular. 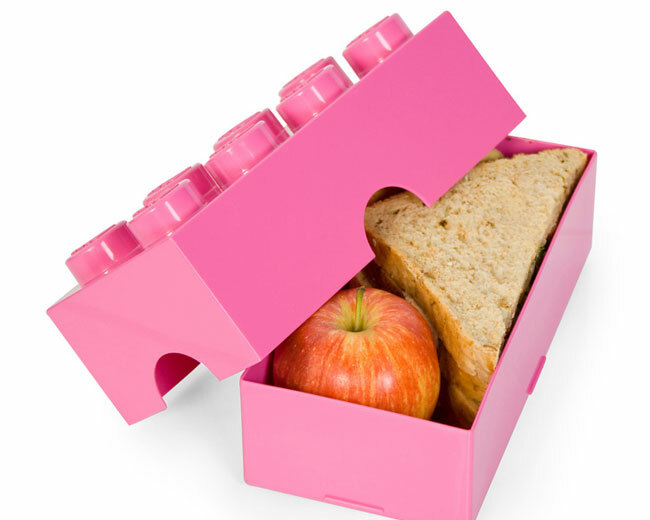 Anyway, the Lego Lunchbox, which is totally Lego approved, can tore a bunch of edible stuff from an apple to a sandwich. Problem is, if you store gravy in this box, we fear leaks or the spoiling of the food inside. On the flipside of this, the Lego Lunchbox can be attached to other Lego Lunchboxes to form a mega meal. Woah! If you’re susceptible to a Lego Lunchbox, then go buy one for $17.